At first, I was on the fence for this one. 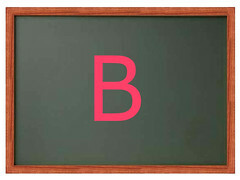 In the end, I decided it was only fitting to give this place a high grade for a rating. For a food court as your dining setting, it is going to be hard really for anyone to give this place a decent shot without deducting points for decor and ambiance. Truth to be told, it was hard for me to decide about this place being in a food court sharing tables with other patrons from other take out joints. 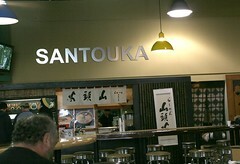 Santouka for me was always one of the more convenient eat around Japanese area. Out of all the food court, I still prefer a Santouka over Hot Dog on A Stick or Steak Escape. Chick-Fil-A used to be my favorite before branching to their own stand alone restaurant and out of the food court. It is fast, convenient, and very easy to get ramen served out within 5 minutes or so from any of their stands (Torrance, Costa Mesa, and West LA are the only ones I have visited). There is never seemed to be any fuss and always the polite service from any of their stands. My favorite has always been their #14 Chasu (sliced pork) Soy Ramen. I always love the simplistic of their broth and their healthy servings of their bamboo shoots and the marinated soy sauce egg. Their pork is usually the loving things about it, but I preferred getting the pork slices from Daikokuya or Gardena Ramen (one of my new favorites). Their noodle is a golden twingy egg flour based just the way how I liked it. Almost similar to the two above mentioned favorites of mine. 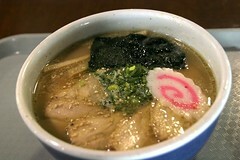 It is not as soft as Hakata Ramen, but very close to the chewiness soft level the Gardena neighbor possessed. As mentioned, the broth was smooth without being greasy or oily (like Orochon) and very easy to finish. The soy sauce texture gave it the more excellent taste without feeling like you just swallow a whole bottle of condiment oil. That would be so gross if the soup didn’t taste right. Overall, I would put Santouka right behind Daikokuya, Gardena Ramen, and Hakata ramen as being in the favorites. My favorite branch of Santouka is in Costa Mesa's Mitsuwa with this West LA's location being a close second as it is still ranked right up in the top tier. If you can overlook the shopping cart natures of this place and the small food court like atmosphere to get a taste of very good ramen, this place would suit your needs. Not very often a food court place get a high mark, this place was one of the very few that could do it. Cash only. Parking for the Mitsuwa market which this place is located inside of will be very busy during the weekend.